In this week's Abundance Insider: Mind-reading robots, cutting-edge cryopreservation capabilities, and an AI that will save JPMorgan’s lawyers 360,000 hours a year. P.S.Exponential Manufacturing is now less than 60 days away, and Exponential Finance is less than 90. These two events will bring together global leaders to discover how the latest technologies are impacting manufacturing and finance, and will ensure each participant is prepared for the changes brought forth by unstoppable technological progress. Prices go up April 1st, so now is the time to take action, remove uncertainty and prepare for success in the year to come. Use code PHDATTEND for up to 15% savings on Exponential Manufacturing and Exponential Finance. What it is: Rethink Robotics' Baxter robot is helping human researchers develop techniques to communicate with robots on a less-awkward level. MIT roboticist Daniela Rus, co-author of this study, stated the goal for the research was to have the robot adapt to what the human would like to do. When humans notice a mistake, our brain emits an error-related potential signal. So when Baxter is about to make a mistake, the system translates these signals from the human's brain (which is connected to an EEG) into a code that Baxter understands. Researchers expect the current binary technology to expand across a range of detectable emotions in the future. What it is: Volkswagen recently unveiled an autonomous vehicle concept car called Sedric with no pedals, no steering wheel, and the ability to be summoned at the push of a button, much like a ridesharing service like Uber or Lyft. The ability to summon a vehicle is linked to a mobility ID, giving customers the ability to switch between their own personal vehicle to another in a different city. As this is a higher-level concept for VW, look for various elements to find their way into later concepts and production soon. What it is: In collaboration with property development company PIK, Apis Cor showed off its giant mobile 3D printer to construct a 38-square-meter 3D printed house in 24 hours. In addition to mobility around the construction site and an extruder able to rotate in two planes, the cranelike Apis printer can print both interior and exterior structures, rather than just the foundation. At about $275 per square meter, the Stupino house not only brings a significant reduction in the cost of construction, but also showcases the ability to design novel shapes, such as the nearly hurricane-windproof swirl seen here. What it is: Scientists from the Department of Energy's Lawrence Berkeley National Laboratory and the California Institute of Technology have successfully doubled the number of potential photoanodes in just two years, which could revolutionize how we produce solar energy. Similar to the anodes in a battery, photoanodes activate the production of solar fuel by helping the process' flow of electrons. The researchers also discovered 12 candidates for new materials to use as photoanodes after calculating hundreds of theories with the help of resources at the National Energy Research Scientific Computing Center and Molecular Foundry. They then tested for anode activity using a novel high-throughput experimentation approach. The results from this research present us with more ways water can be used as an energy source. What it is: Citing competitive pressure, J.P. Morgan is investing heavily in software automation tools. A piece of that effort is COIN (for Contract Intelligence), a machine learning system designed to tackle the job of interpreting commercial loan agreements, a task that has historically consumed up to 360,000 hours of lawyer and loan officer time per year. Not only is COIN faster, reviewing documents in just seconds, it is far less error-prone and has reduced loan servicing mistakes in wholesale loan contracts. 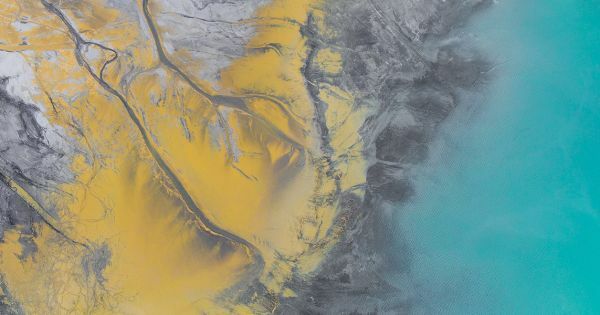 Building on this success, JP Morgan is looking for more ways to deploy the technology, including plans for complex legal filings like credit-default swaps and custody agreements, and possibly analyzing regulations and corporate communications. What it is: Researchers at the University of Minnesota recently developed a new technique in cryopreservation -- the process of freezing organs and tissues at very low temperatures -- that could significantly reduce organ transplantation's logistical challenges. 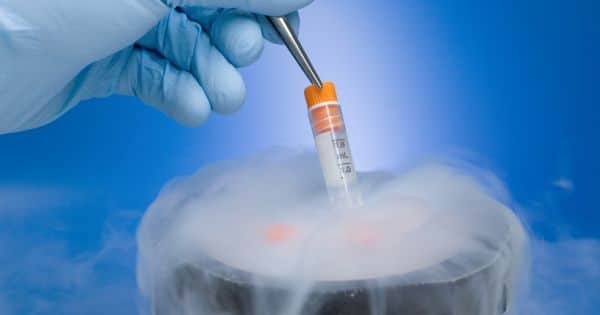 Cryopreservation is typically only successful among small samples, like sperm or embryos; however, scientists were able to cryopreserve human and pig organ samples, and then rewarm them successfully without damaging the tissue. The new technique involved mixing silica-coated iron oxide nanoparticles in a solution and then generating heat from applying an external magnetic field. P.S. Exponential Manufacturing is now less than 60 days away, and Exponential Finance is less than 90. These two events will bring together global leaders to discover how the latest technologies are impacting manufacturing and finance, and will ensure each participant is prepared for the changes brought forth by unstoppable technological progress. Prices go up April 1st, so now is the time to take action, remove uncertainty and prepare for success in the year to come. Use code PHDATTEND for up to 15% savings on Exponential Manufacturing and Exponential Finance.